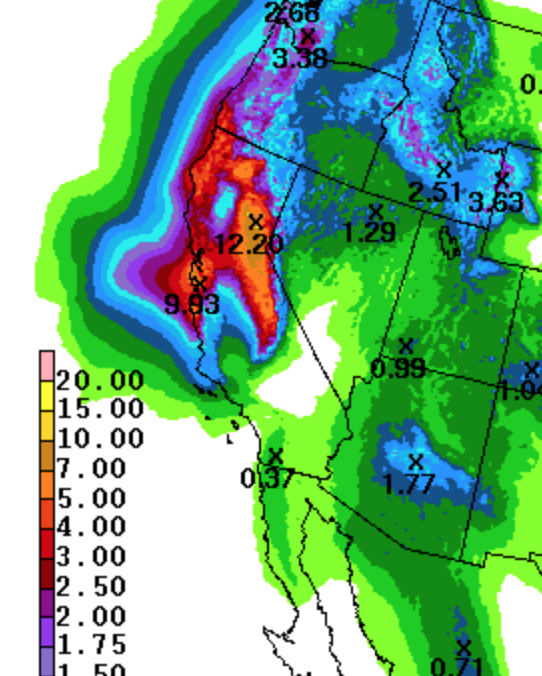 Yes, that is another 12+" forecast for the watershed above the Oroville Dam (which appears to be fixed) and another nearly 10 inches forecast in the coastal mountains just south of San Francisco. This is going to touch off another round of serious flooding. 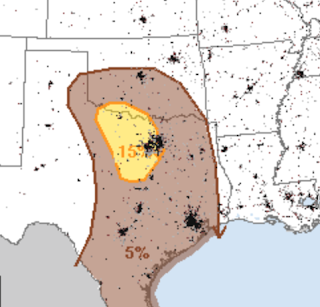 As to my comment (below) about the possibility of severe weather tomorrow in the Great Plains, here is the risk map. On this map, 15% (yellow) is the significant threshold. Here, the main threats are wind gusts of 60 mph with thunderstorms and some storms with 1" in diameter.